What I want you to know: I was stuck in a deep and dark abyss of grief, and thanks to Lisa, I was able to move through to a point where I could begin to cope in a more productive way. She helped me progress through my healing, and I will forever be thankful. You are amazing. When my dog Toby died a little over 3 years ago I asked if you could tell me something about his passing. You told me he had a peaceful passing and that an older woman was there to take care of him. ( I realized it was my mother). He told me not to cry but if I do he would lick my tears away. I came away with your message that he was okay and that he went peacefully. You have helped me clear out all the static and see the truth in making a very difficult decision. After talking to you, I felt lighter and able to move forward, not so stuck in my own head. You have been 100% right about everything you said every time we've spoken. Your gift has been such a blessing to me and I enjoy every conversation! Prior to my time working with Lisa J. Smith, I always knew I had a gift of getting messages and communication from spirit. For a long time I struggled to define these messages from spirit and I really felt that I was in a state of confusion. I spent many years reading books, watching videos and talking to others only to feel frustrated on how to manage my ability to clarify messages from spirit. 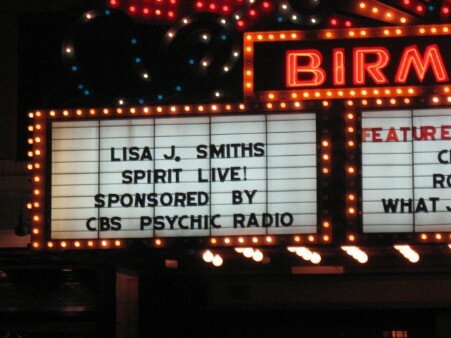 Fast forward 20+ years and I found Lisa J. Smith and her group of psychic students. Without any question it felt right to join her group of like-minded and spirit driven people. 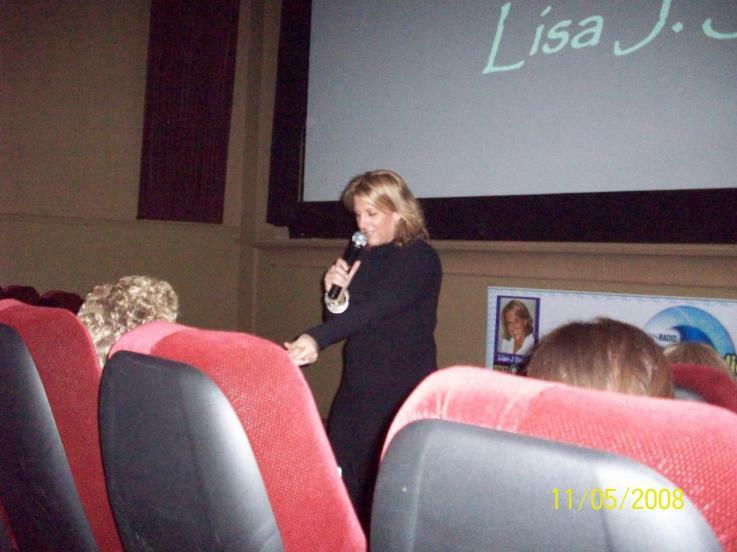 This is the point in my life where things completely changed for me while under Lisa’s guidance. After spending time with Lisa J. Smith, I learned so many things I could probably write my own book, but the message that I would like to give others is this; this course gave me a freedom to speak and clarify messages from spirit. This clarity was good for “reading” others seeking answers from spirit, but also good for me to manage my own life. During this time of training with Lisa, I was able to move from a state of confusion to a state of confidence in that I was able to be comfortable with communicating spirit images and messages. Lisa J. Smith's crystal clear insight surpasses the limits of this physical world, allowing her to bring through valuable information just for you. She's empowered my life and I have found so much peace and focus, that I've never felt before. Lisa J. Smith is an incredibly gifted woman, who sincerely loves to help people live their best lives. I can truly say that with her help and guidance I am living my best and truest life and I couldn't have done it without her. Lisa, I love your show and while I am at work I listen to it daily, It's such a peaceful time for me because all show long I feel so comfortable and at peace and every little bit of advice you give to strangers I look and take into my own life. 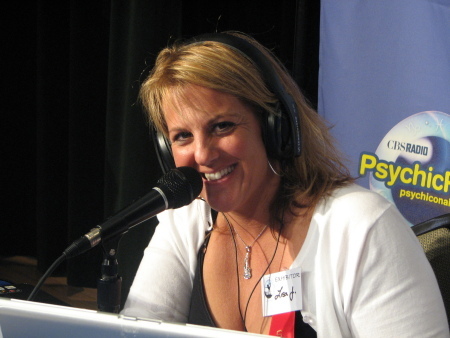 Vincent, L.A.
Hi Lisa, Wanted to thank you for helping me this past week by just being on the air. My test results came back negative and I can't be more happier. Well I probably could but I am very happy. Your show helped my nerves stay calm for the hours you were on and you were right I was gonna be ok. So thanks so much. T.
Lisa, Thank God, for your show this week. To know, that i am not the only one going through this. By your courageous honesty I have been able to face and feel my own. Sometimes, I try to avoid, or ignore, the pain in my life, the messages from spirit, and it is so much harder when I do that. By you revealing your own process I am able to find. I am able to touch into a place that is raw and painful but full of so much beauty and so much connection to source. So thank you for the gift, and the reminder we are all connected and all one. Zoey M.
Lisa, I have to tell you how much I enjoy your show. I find it very relaxing and inspiring and usually just what I need when I'm having a bad day. Bart B.